however once she got to know you she would open up and had a very good sense of humour. Sadly, Dorothy passed away in a tragic car accident in June 2013 whilst on a hunting trip between Yuendumu and Alice Springs. The art world has lost a valuable member who shared her Dreaming's love of her country and amazing individual and unique style of depiction. Dorothy is a highly collectable artist and I would not hesitate to recommend purchasing her works. Dorothy Napangardi was born in approximately 1956, it is hard to give an exact year as she was born in the bush in the Tanami Desert and there were no records for “bush births” at the time. Her country is Mina Mina. Dorothy grew up in Yuendumu Community which is approximately 3 hours from Alice Springs in Central Australia. Dorothy’s father, Paddy Lewis Japanangka, a senior lawgiver, who continues to reside in Yuendumu. Dorothy’s mother was Jeannie Lewis Napurrurla and the family was completed with another sister, two brothers and a half sister from Jeannie’s first marriage. Dorothy grew up travelling around Mina Mina with her family and extended family, living off bush tucker and learning her culture in a traditional setting. As a young girl she was taught women’s Dreaming stories which were passed down to her from her grandfather on her father’s side, whose country was Mina Mina. It wasn’t until much later that she was actually given permission to paint this, or depict it in any form. As a young girl her family was forcibly moved to Yuendumu Community, a large settlement which was set up by the government of the time. Her family were miserable and eventually ran away back to the desert and lived there, continuing to travel around. As she grew up she was promised to an older man and eventually married him, together they had four daughters. The family eventually relocated to Alice Springs but the marriage did not succeed and they eventually separated. Rather than return to Yuendumu Community, Dorothy decided to remain in Alice Springs where she met Eddie Airbourne from Queensland and they had a daughter together. Dorothy is one of around 3,000 Warlpiri speaks who live or are from the Tanami Desert region of Central Australia. Although Dorothy had minimal formal western schooling, she was instructed and learnt the historic Dreaming of her people, in Warlpiri this is referred to as the Jukurrpa, which describes the origins and journeys of the ancestral beings in the land and identifies the sacred places where spirits reside. It is remarkable that Dorothy chose to remain in Alice Springs, away from the country she loved and her extended family however for art lovers it was to be a wonderful decision. 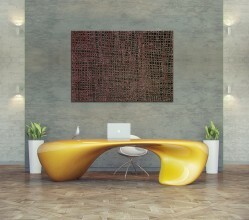 Whilst living in Alice Springs Dorothy took up painting in 1987 with the Centre for Aboriginal Artists and Craftsman. Her earliest works were colourful floral patterns which depicted the growth of the bush banana. They appeared semi naturalistic in their representations. In 1990 Dorothy began working for Gallery Gondwana and she continued to work with them until the gallery closed its doors in 2010. The friendship and solid working relationship between Dorothy and the gallerist spanned 20 years and both were very influential and important to one another. In 1997 she moved away from the Bush Banana and Plum depictions and started Women’s Dreaming, preferring more restrained patterns which often chequer or radiate in black and white. At times she will add some extra colour with yellow or red. This new style led to many accolades from the art world. Unlike many other Aboriginal artists Dorothy minimises all references to the customary Aboriginal iconography. This shift in her depictions led to winning the 2001 National Aboriginal and Torres Strait Islander Art Award (NATSIAA), the most prestigious art award in Australia. The artwork was titled Salt on Mina Mina. Prior to that she had won several other awards and been a selected entrant on more than one occasion for the NATSIAA. In 2002 she had a major solo exhibition and book published titled “Dancing Up Country. The Art of Dorothy Napangardi” by the Museum of Contemporary Art in Sydney. In it, Aboriginal art expert Christine Nicholls writes that “Dorothy Napangardi’s success as an artist lies in her ability to evoke a strong sense of movement on her canvases, an effect she achieves because of her remarkable spatial sense and compositional ability. Her work can be appreciated on multiple levels” (Nicholls, 2002). Dorothy’s Women’s Stories represent the long journeys the women ancestors would make from Mina Mina as they walked and danced carrying their digging sticks. The paintings evoke this complex narrative with the dance and movement of the women. Her Jukurrpa and country feature in all of her works. 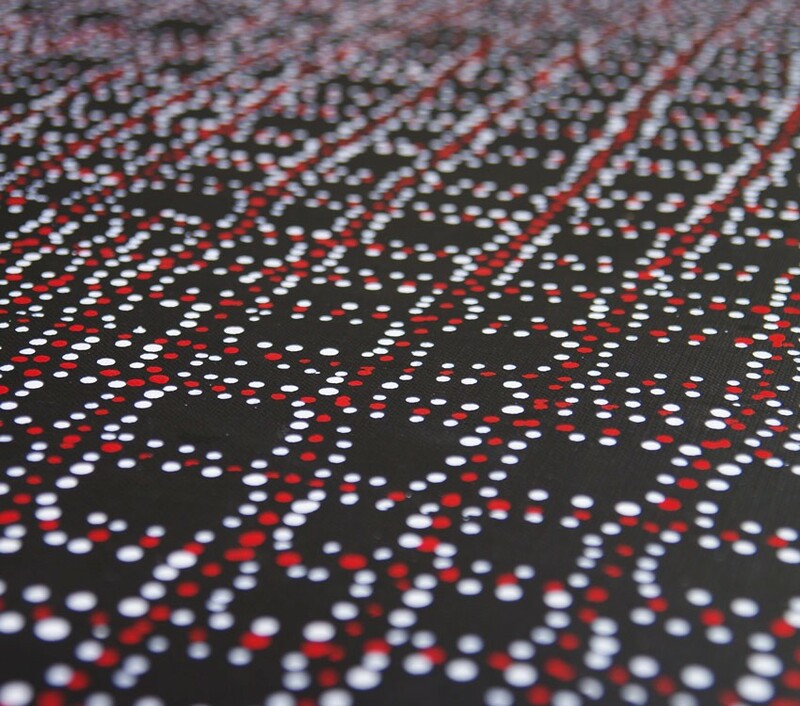 The Jukurrpa theme is inseparable from the environment and includes travelling across the land; it is these notions that can be found in Dorothy’s works with a profusion of intersecting lines which suggest the spiritual meaning. Her primary artwork depictions are titled; Karntakurlangu Jukurrpa (Inland sea) Karlangu (digging sticks), Yuparli (bush banana) and Women’s Dreaming. Passing on her knowledge and skills Dorothy has taught two of her daughters Sabrina and Julie, who are now active artists. Prior to her death Dorothy was a professional artist who fully supported herself and her daughters with her artworks. In 2009, one of Dorothy’s artworks sold for $129,750 at a Sotherby’s auction in Melbourne. 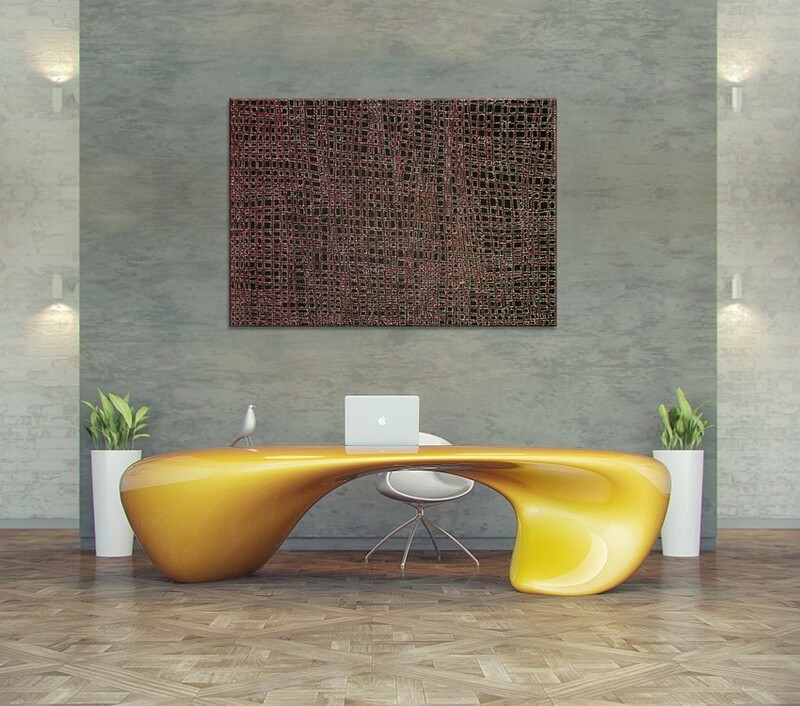 The Australian Indigenous Art Market ranks her as the 21st most collectable Australian Aboriginal Artist. She was commissioned by the South Bank Corporation’s Brisbane Convention and Exhibition Centre to recreate one of her Sandhill artworks into a 2000 square metre carpet which is now on permanent display in the Plaza Gallery. In 2012 she became the first Indigenous Australian artist to have work accepted by Art Cologne, and also had her work displayed in Ancestral Modern, an exhibition at the Seattle Art Museum. Although choosing to have her base in Alice Springs, she never forgot her country and would love to go hunting and walking when back in Mina Mina, when there, she would look and listen to what the country was telling her. This was the ultimate inspiration behind her artworks. Through painting, sitting down and singing and remembering, Dorothy explained that during those times she felt a closer connection to her country. Dorothy’s family was the most important thing to her and influenced all of her decision making. She died whilst on a hunting trip, surrounded by family, although in a tragic accident, it was where her heart always was. Dorothy Napangardi will always be remembered for being a truly inspirational artist, using her artwork as a way to connect to her country and culture as well as being able to sustain her lifestyle and that of her family. Her works are held by major collectors in Australia and the US. I have several in my permanent collection and in my home and they provide me with a calming influence when I just sit and admire them. She has held countless exhibitions and won multiple art awards throughout her career. I wouldn’t hesitate to recommend her works as investment pieces. For novice collectors and art lovers, there are smaller pieces which are affordable as well. She will truly be missed not only as a famous and talented artist but as a quiet and humble person who was able to use her strength, knowledge and teachings of her culture and heritage in a westernised world and flourish. Out of respect of Aboriginal culture and Dorothy’s family Central Art has removed her photograph. Naming Aboriginal people who have passed away was traditionally forbidden. Traditionally you are required to avoid referring to the person who has passed on directly by name as a sign of respect. This has also come to include photographs, filming and voice recordings as technology has grown. Central Art acknowledges that we have named Dorothy on our website however it is linguistically difficulty to promote her works without naming her. 2012, “Ancestral Modern”, Seattle Art Museum, Seattle, USA. 2012, “All Our Relations”, Biennale of Sydney, MCA Sydney. 2011, “Wet Paint”, Flinders Lane Gallery, Melbourne. 2010, “All is Calm”, Fire-Works Gallery, Brisbane. 2009, “Sculpture and Works on Paper”, Fire-Works Gallery, Brisbane. 2008, “Black and White: Inspired by Landscapes”, Kate Owen Gallery, Sydney. 2008, “From the Air”, Fire-Works Gallery, Brisbane. 2007, “Divas of the Desert”, Gallery Gondwana, Alice Springs. 2007, “Country in Mind: Dorothy Napangardi”, Fire-Works Gallery, Brisbane. 2006, “Karntakurlangu Jukurrpa”, Gallery Gondwana, Alice Springs. 2005, “Dorothy Napangardi”, Hosfelt Gallery, San Francisco, USA. 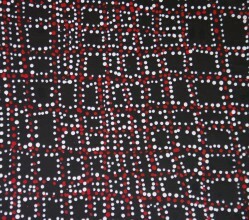 2004, “Dorothy Napangardi”, Gallery Gondwana, Alice Springs. 2003, “Collectors Show”, Gallery Gondwana at The Depot Gallery, Sydney. 2003, “Dorothy Napangarding New Paintings”, Flinders Lane Gallery, Melbourne. 2003, Museum of Contemporary Art, Sydney. 2003, National Art Gallery of Malaysia, Malaysia. 2002, “One Mother; Dorothy Napangardi and Sabrina Nangala”, Gallery Gondwana, Alice Springs. 2002, “Native Title Business – Contemporary Indigenous Art” (National Travelling Exhibition), Gurang Land Council, QLD. 2002, “Indecorous Abstraction – Contemporary Women Painters”, Light Square Gallery, Adelaide. 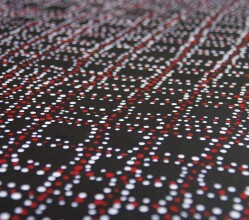 2002, “Kanakurlangu – Dorothy Napangardi”, Gallery Gondwana in conjunction with The Depot Gallery, Alice Springs & Sydney. 2002, “Melbourne Art Fair 2002”, Melbourne. 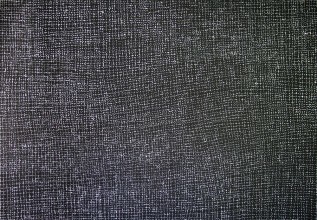 2002 - 2003, “Dancing Up Country; The Work of Dorothy Napangardi”, Museum of Contemporary Art, Sydney (exhibition also travelled to Vietnam & Kuala Lumpur). 2001, “Country After Rain”, Framed Gallery, Darwin. 2001, “Dreamtime – The Light and the Dark”, Sammlung Essl, Vienna, Austria. 2001, “Mina Mina”, Gallery Gondwana, Alice Springs. 2001, 18th Annual National Aboriginal and Torres Strait Islander Art Award Exhibition, Darwin. 2001, Alliance Francaise de Canberra and French Embassy, Canberra. 2001, “Dorothy Napangardi, New Paintings” & “Masterwork”, Vivien Anderson Gallery, Melbourne. 2001, 31st Alice Prize Exhibition, Araluen Arts Centre, Alice Springs. 2000 - 2001, “The Art of Place Exhibition”, Australian Heritage Commission, Old Parliament House, Canberra. 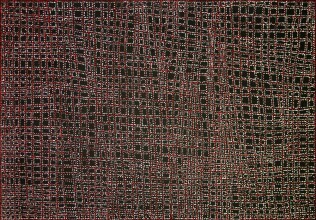 2000, “Dorothy Napangardi and Walala Tjapaltjarri”, Adelaide Festival, Gallery Australis, Adelaide. 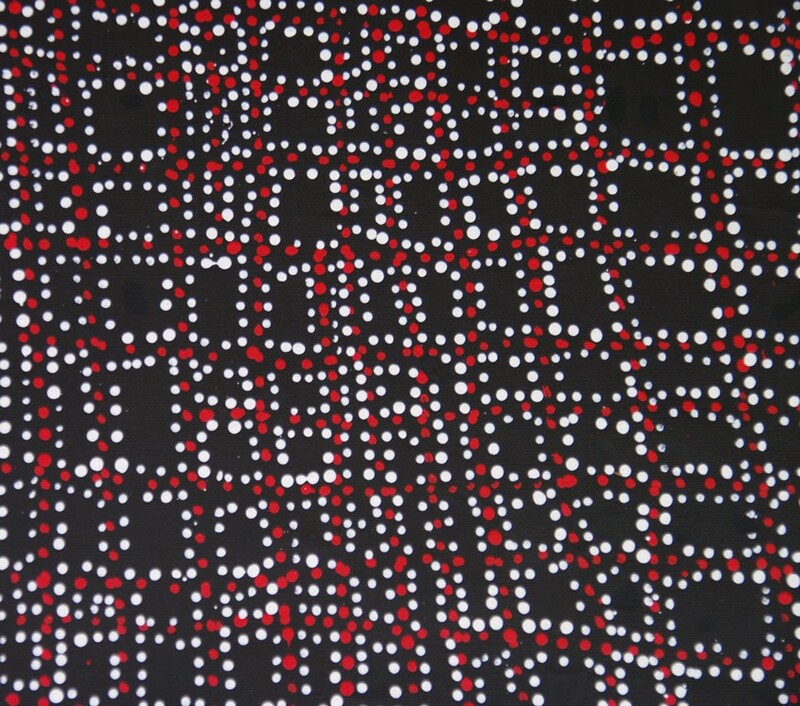 2000, “Songlines: Walala Tjapaltjarri & Dorothy Napangardi”, Rebecca Hossack Gallery, London, UK. 2000, Vivien Anderson Gallery, Melbourne. 2000, “Melbourne Art Fair 2000”, Melbourne. 2000, “Dorothy Napangardi”, Hogarth Gallery, Sydney. 2000, 17th National Aboriginal and Torres Strait Islander Art Award Exhibition”, Darwin. 1999, “My Country – Journey of our Ancestors”, Ancient Earth Indigenous Art, Cairns. 1999, “The Redlands Westpac Art Prize Exhibition”, Mosman Art Gallery, New South Wales. 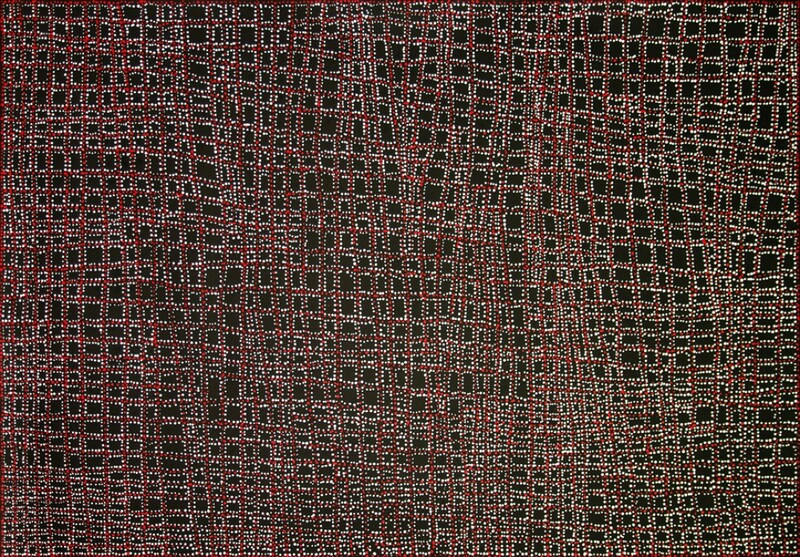 1999, “Recent Works by Dorothy Napangardi and Walala Tjapaltjarri”, Vivien Anderson Gallery, Melbourne. 1999, “Recent Works by Dorothy Napangardi” & “Treading Softly”, Chapman Gallery, Canberra. 1999, “Painting the Desert”, Alliance Francaise de Canberra and French Embassy, Canberra. 1999, 16th Annual National Aboriginal and Torres Strait Islander Art Award Exhibition, Darwin. 1998, “Napangardi Dreaming – Ceremony and Song”, Hogarth Galleries, Sydney. 1998, 15th Annual National Aboriginal and Torres Strait Islander Art Award Exhibition, Darwin. 1998, “Warlpiri Women”, Gallery Gondwana, Alice Springs. 1991, 8th Annual National Aboriginal and Torres Strait Islander Art Award Exhibition, Darwin. 1991, Araluen Arts Centre, Alice Springs. 2001, First Prize, 18th National Aboriginal and Torres Strait Islander Art Award, Darwin. 2001, Entrant, 31st Alice Prize, Araluen Arts Centre, Alice Springs. 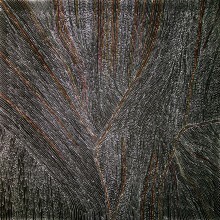 2000, Selected Entrant, 17th National Aboriginal and Torres Strait Islander Art Award, Darwin. 2000, Selected Entrant, 5th National Indigenous Heritage Art Award, Australian Heritage Commission, Canberra. 1999, “Highly Commended”, 16th National Aboriginal and Torres Strait Islander Art Award, Darwin. 1999, Entrant, The Redlands Westpac Art Prize, Mosman Art Gallery, Sydney. 1998, First Prize, 15th National Aboriginal and Torres Strait Islander Art Award, Darwin. 1991, “Best Painting in European Media”, 8th National Aboriginal and Torres Strait Art Award, Darwin. The Vroom Collection, The Netherlands. The Kerry Stokes Collection, Perth. South Australian Festival Centre Foundation, Adelaide. The Homesglen Institute of TAFE Collection, Victoria. The LeWitt Collection, Chester, Connecticut, USA. Birnberg, M. & Kreczmanski, J.B. Aboriginal Artists Dictionary of Biographies, Central Desert, Western Desert and Kimberley Region. J.B. Publishing House Australia. Marleston, South Australia. Museum of Contemporary Art (2004) Dancing Up Country, The Art of Dorothy Napangardi. Museum of Contemporary Art Limited. Sydney, New South Wales. Nicholls, C 2013, ‘Not Even Fame is Better Than Family’, The Sydney Morning Herald, viewed on 26 October 2013. This artwork depicts the movement of the ancestral women, as they travelled on foot and marked their homeland with their digging sticks. Significant ceremonies were performed, which even today the Napangardi & Napanangka women regularly gather at the Mina Mina site in a ceremony to re-enact this Dreaming story. Here they paint each other's bodies with Dreaming designs and chant and dance the age old creation story. Mina Mina is the birthplace of the digging stick and a large stand of Eucalyptus trees (Casuarina Decaisneana) now stand where tradition says the digging sticks emerged from the ground.